story: Mav#rick grew up poor so he was forced to steal things to survive. Unfortunately, he's not very good at stealing and he almost had his hand cut off for doing so when he was 18 (see intro). Due to an accident involving the blood of a demon named Ko, Mav#rick has to deal with a claw with a mind of it's own. If Mav#rick fails to control the demon blood (due to stress or anxiety), it spreads through his body. This is shown by how far the black area spreads up his arm. Mav#rick was taken in by a mysterious man (a bounty hunter who was going to steal the blood of Ko before Mr Weir could retrieve it), and taught him a few things about his claw and about the demon Ko. He was told that Void city would be the only place where he wasn't a danger to civilization. Mav#rick hates his claw and hopes to find a way to get rid of it someday. Until then he tries to live a normal life in Void city. personality: Mav#rick is a very cynical guy. However, he worries about the well being of others around him because he never knows when the whole claw thing will happen. Due to this, he tends to stray from crowded areas. He fears the idea of friends because of what could happen to them. Mav#rick can't stand to see the rich mistreat the poor. 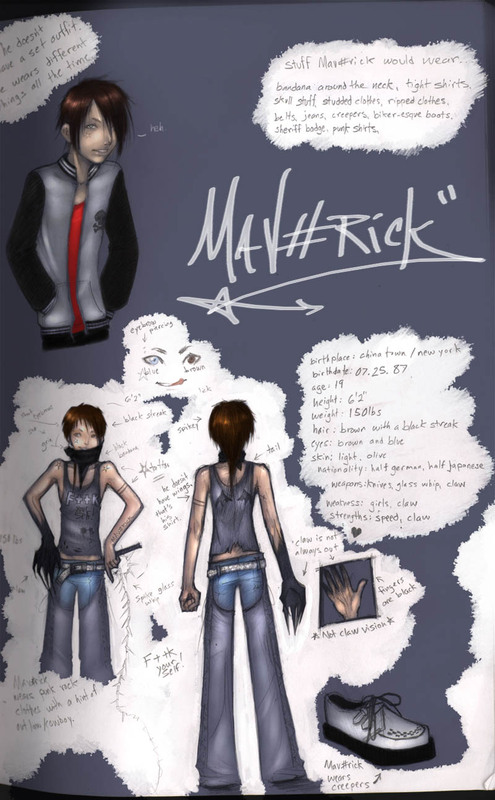 appearance: Mav#rick's look can be best described as visual kei/jrock/scenekid. He's tall and very skinny. 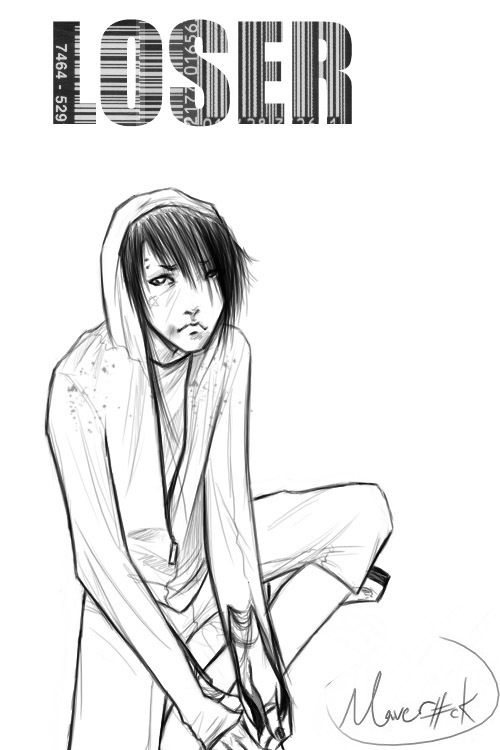 He wears punk style clothing. His right eye is blue and his left eye is brown. He has a star under his right eye. He has short eyebrows, and an eyebrow piercing on the right. He has a star tattoo on each of his shoulders. fight info: Mav#rick is very skilled with a whip or anything similar (chains, rope, etc). other: Mav#rick loves playing video games (especially shooters and fighting games). 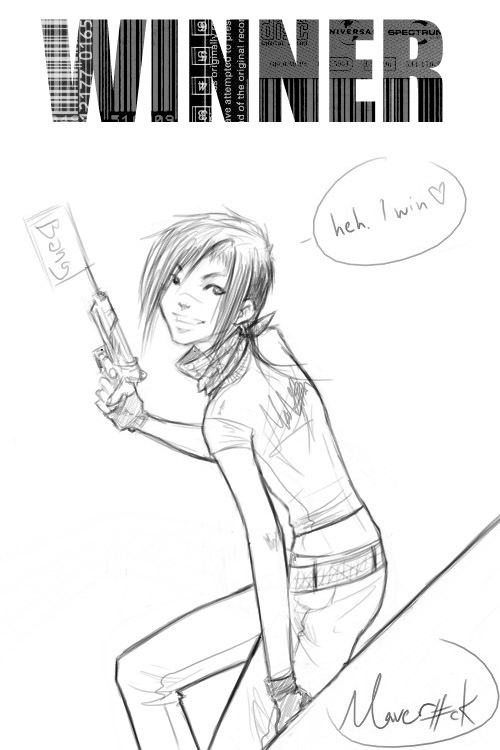 Mav#rick lives in a two bedroom apartment with a bounty hunter named Nanashi. story: Ko is an ancient demon known as a kamaitachi. A weasel-like creature that rides in a whirlwind, and is equipped with very sharp sickle-like claws with which to attack humans, and only later will they discover the deep but painless gashes made in their skin as if by some very sharp instrument.